It's a day for updates, apparently, as Apple's iOS 6 rolled out to legacy devices and Google Maps for Android got an update. The latter came late on the afternoon of Sept. 19, and is perhaps a move by Google to steal some of iOS 6's thunder. 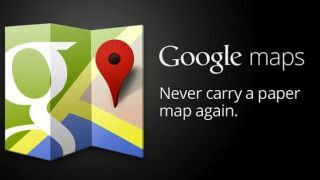 Apple, after all, ditched Google Maps in favor of its own native system. Indoor maps for select airports, hotels, retails stores, etc. Users can access local search and business reviews, too, while another feature allows users to zoom with one hand - simply double tap, hold, then slide a finger athwart the screen. The revamped app also allows users to sync their searches and previous maps on more than one device, allowing for quicker search time. All users have to do to access previous searches is search for an address while logged into their Google accounts with web history enabled. Finally, map and direction histories are now accessible through the "Search" and "Directions" tabs in My Places, with the aim again being a quick turn-up of past navigation search queries. TechRadar reviewed iOS 6 and found Apple's replacement maps to be quite satisfactory, if not down right impressive in some respects, thanks to help from TomTom, though the function certainly has its issues (glitchy service, spotty reviews). Good on Google for updating its Maps, but at least on former customer isn't hurting for it.